Product #1100 | SKU MA809 | 0.0 (no ratings yet) Thanks for your rating! 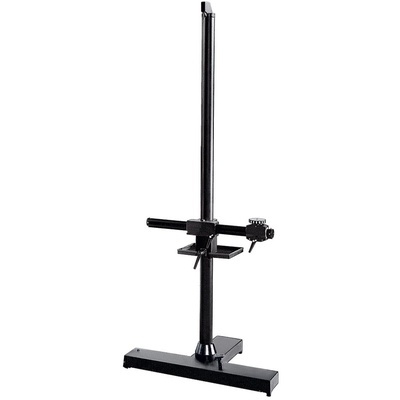 This Manfrotto 0836 Salon 230 Camera Stand is part of the Manfrotto family of camera stands. Manfrotto camera stands offer support for every camera size, and generally vary by versatility of their movements. They're equipped with retractable wheels for easier placement around the studio. The column, which travels nearly 165 cm, has pneumatic dampening and a 3/8"-16 threaded screw protruding from the top. Ideal for passport, ID cameras and other general studio applications ranging up to 8 x 10 and beyond.